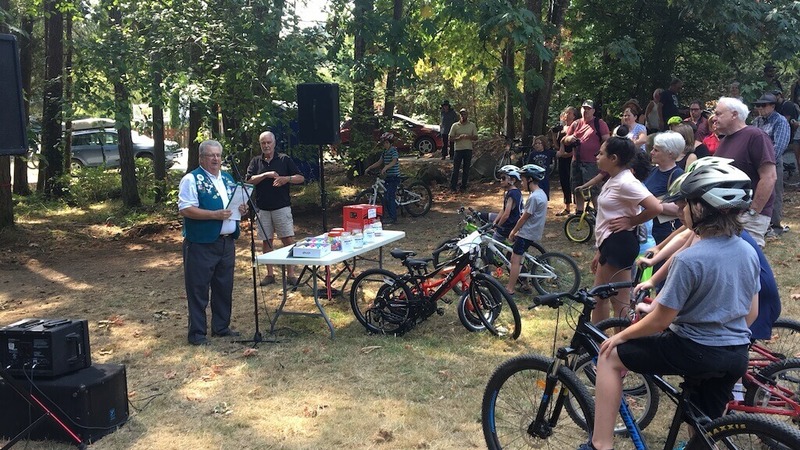 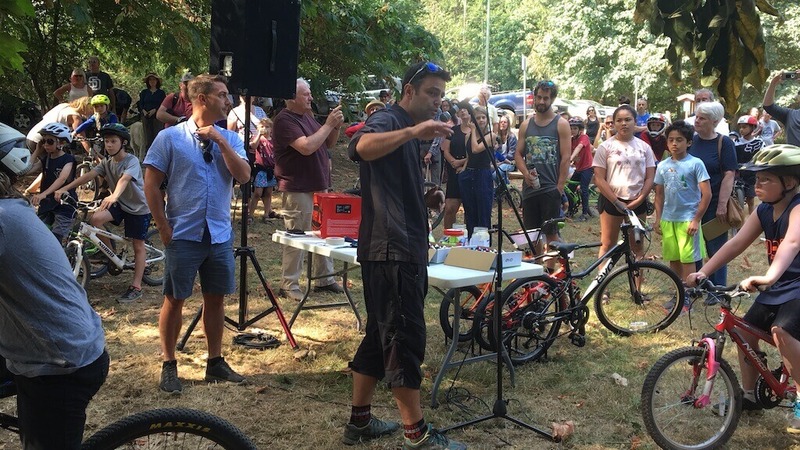 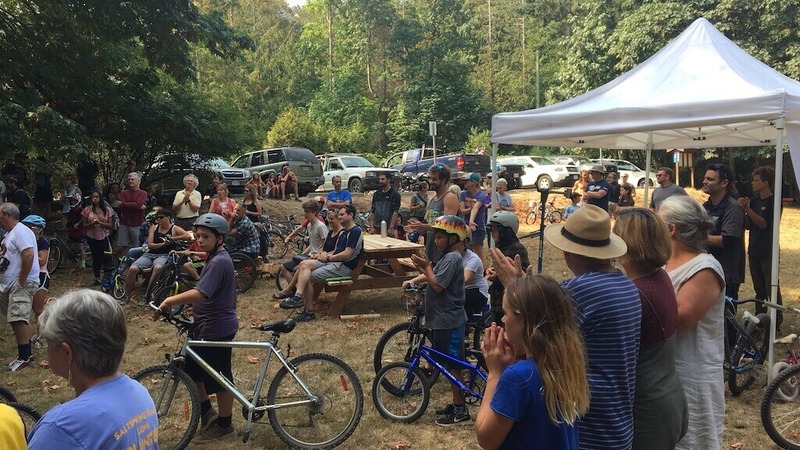 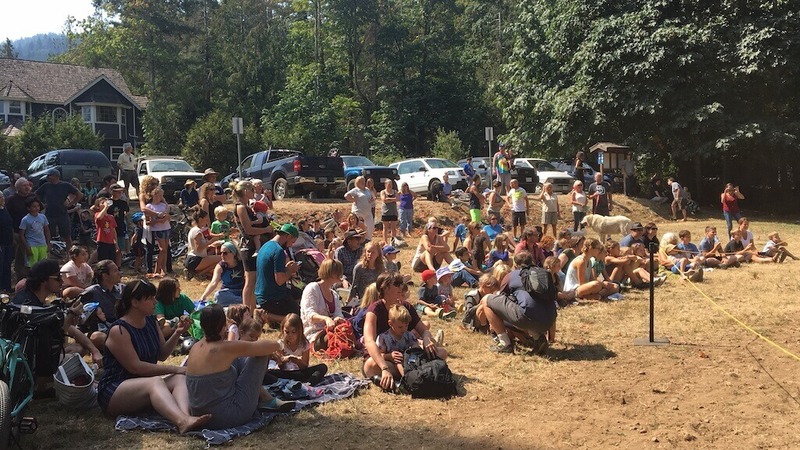 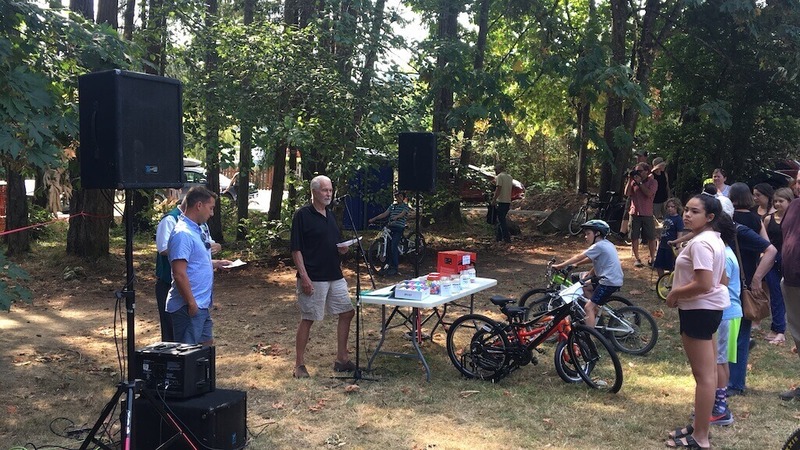 After years of consultation, planning, design and community engagement The Salt Spring Lions Commemorative Bike Park opened today with a big turn out from the community. 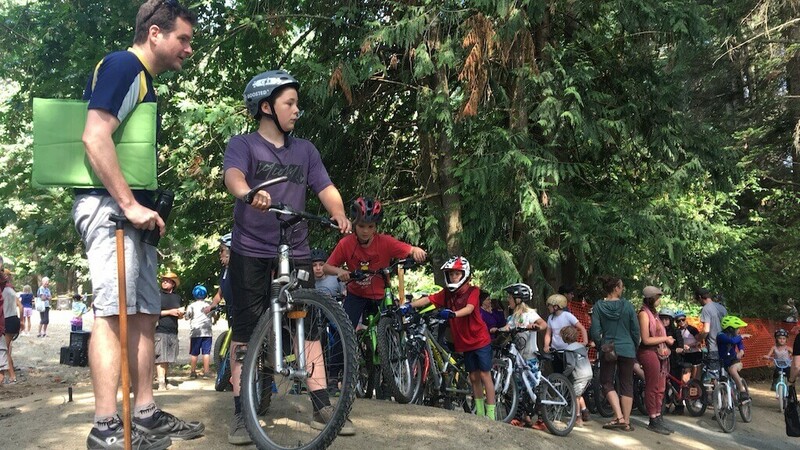 Dozens of families, bikes in tow, joined the project sponsors, managers and supporters in the opening of the island’s first bike park. 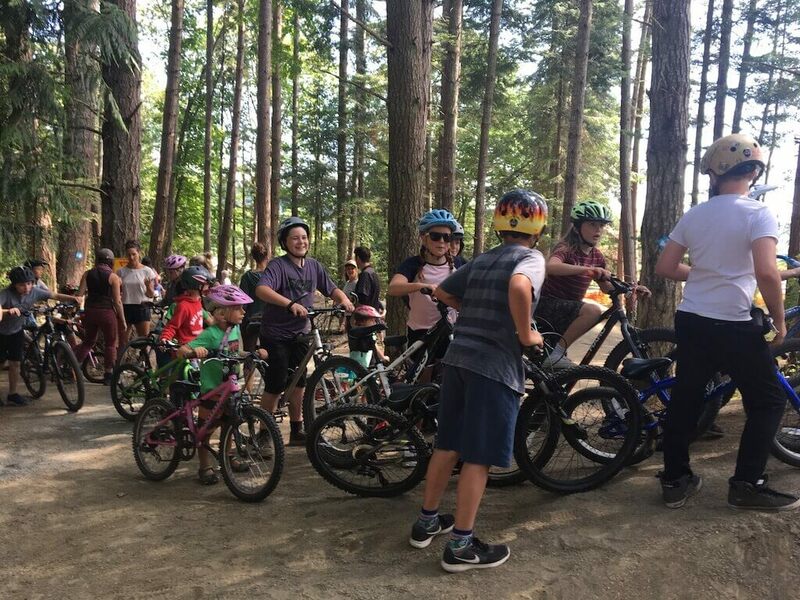 The family bike park is a dirt surfaced, outdoor recreation space with technical features professionally designed to facilitate and develop bicycle skills among children, youth and adults. 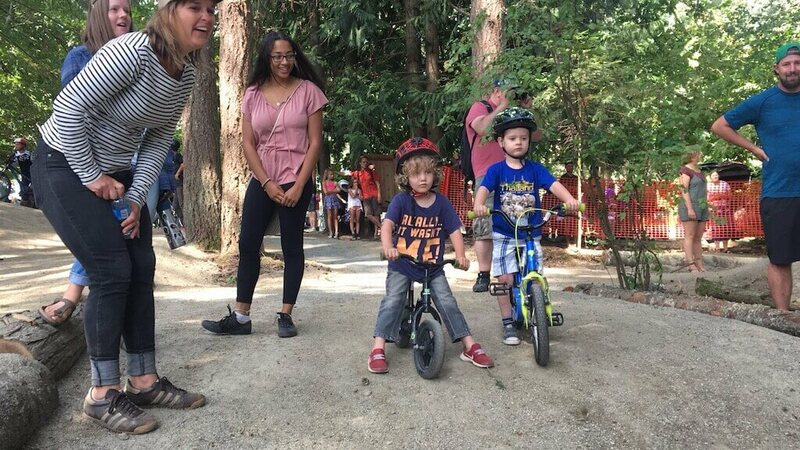 After consultation with staff and PARC, the location was identified in the treed area at the southeast corner of Mouat Park at 160 Seaview Avenue. The 2011 Salt Spring Island Parks System Master Plan contemplates woodland biking and a bike park in Mouat Park. 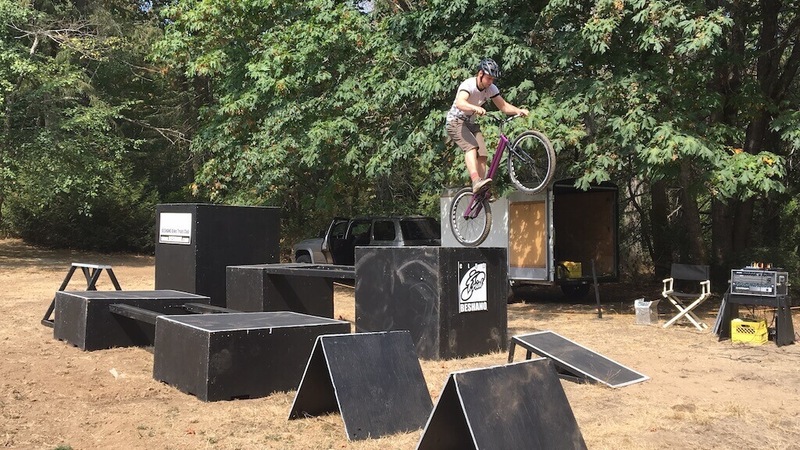 The location behind ArtSpring’s upper parking lot was currently unused for recreation activities. 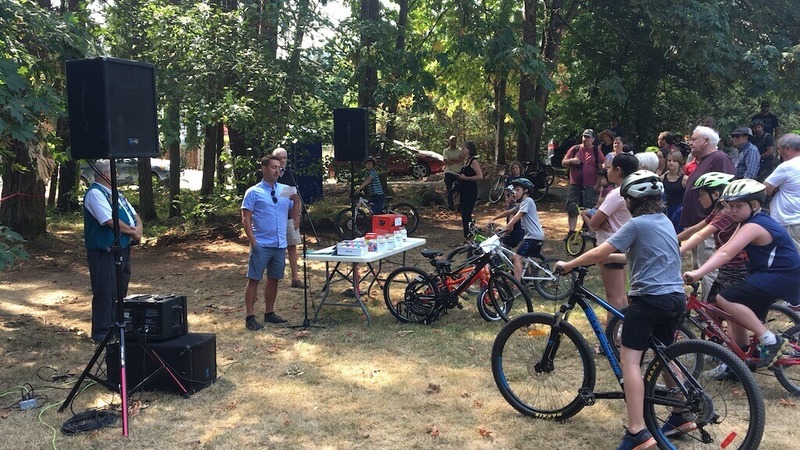 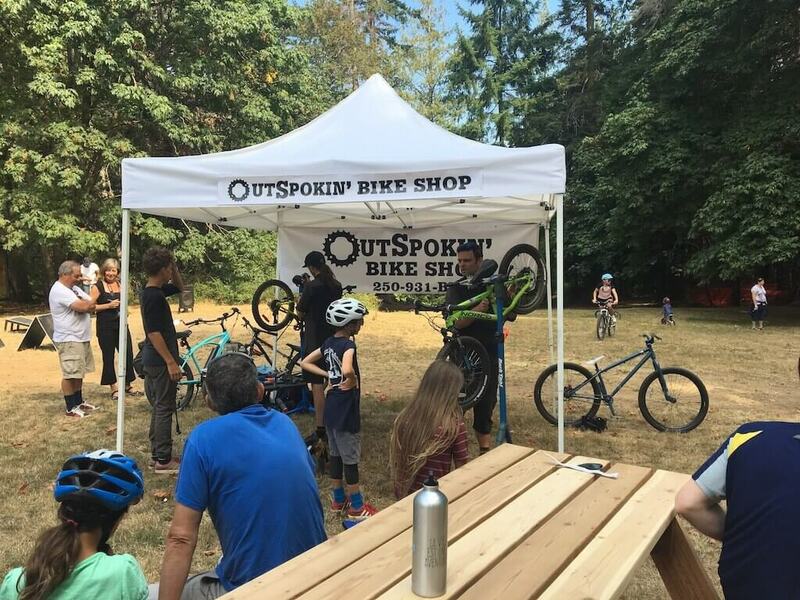 Following an environmental assessment and other feasibility studies, the CRD and the Salt Spring Island Bike Club consulted with community members and surrounding neighbours to identify and resolve potential concerns with the bike park project. 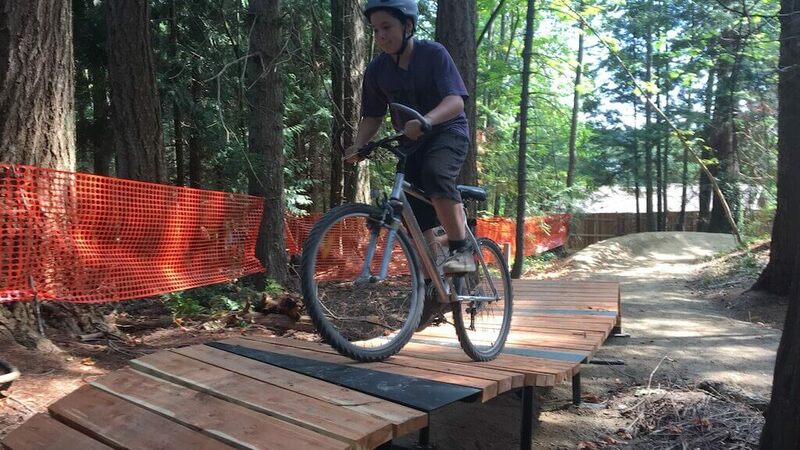 The park’s design was tested by professional riders and local families during construction to ensure the best possible design for the area and its intended use. 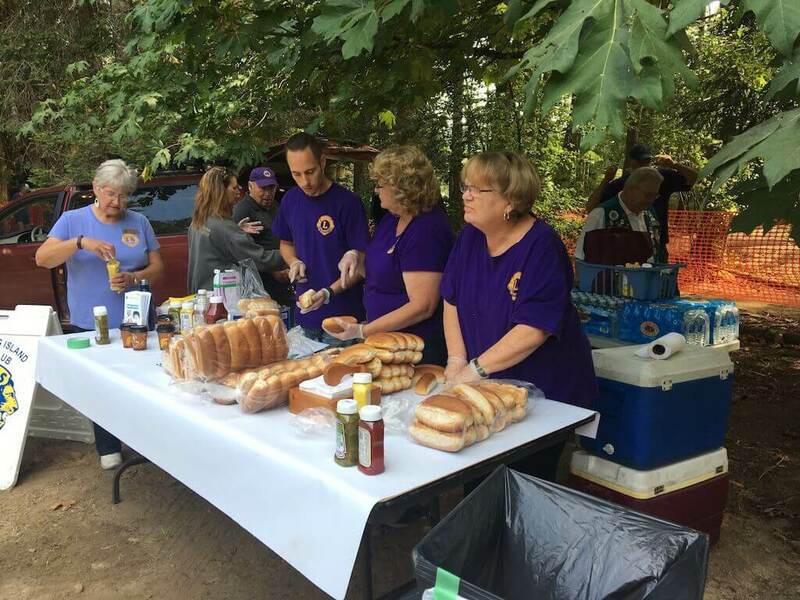 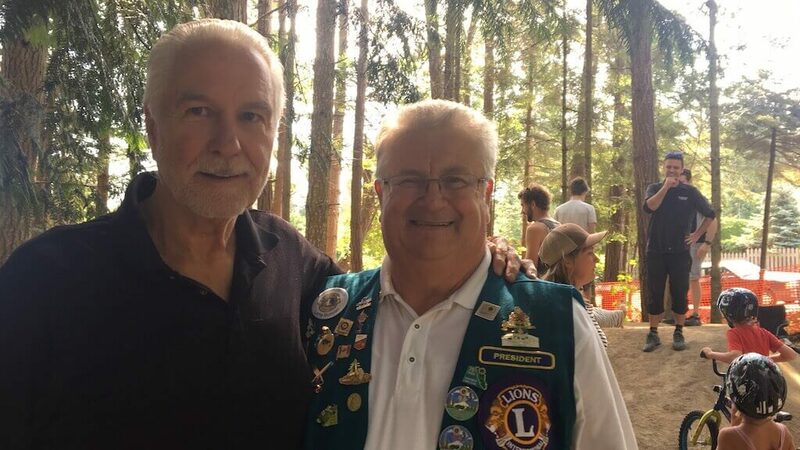 Funding for the park was provided by the Salt Spring Lions. 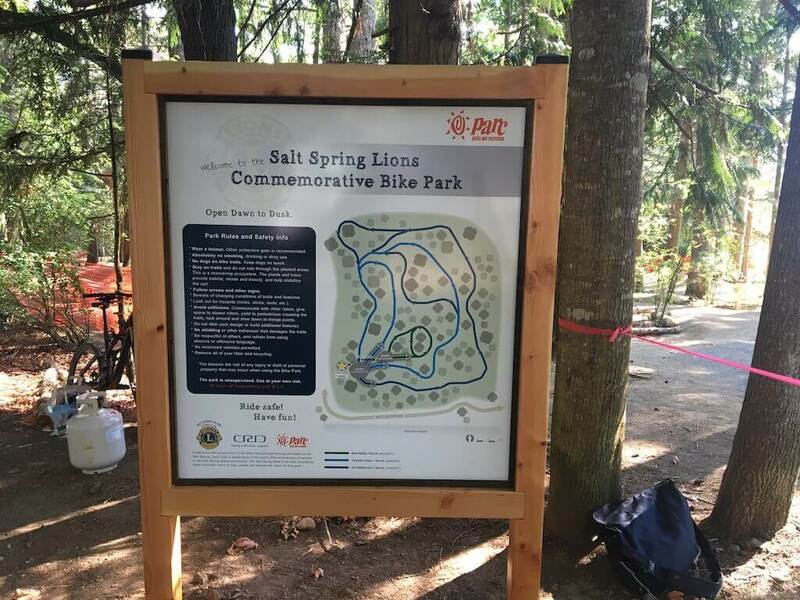 The park was officially opened by Wayne McIntyre, CRD Salt Spring Island Electoral Area Director, Salt Spring Lion’s Club President Lorne Bunyan and Parks and Recreation Manager, Dan Ovington. 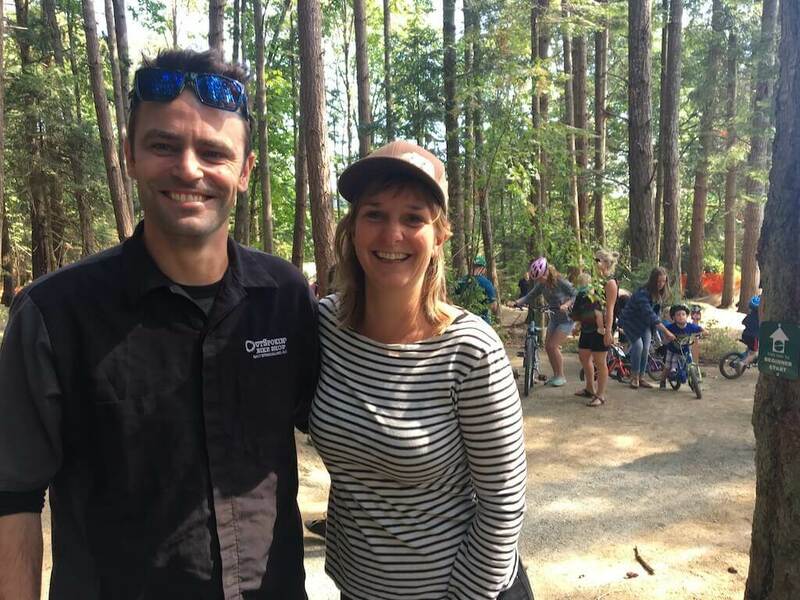 Park project champions Elizabeth FitzZaland from GreenCity Builders and Sean Mulligan from OutSpokin’ Bike Shop were on hand to welcome everyone to the new park and to enjoy watching all the families experience the park they worked so hard to make happen.